A majority of malignant gliomas yield vigorous short-term cultures which are apparently derived from the tumour cells and not stroma. In a high proportion of cases, perhaps 30-40%, these short-term lines will give rise to established cell lines. 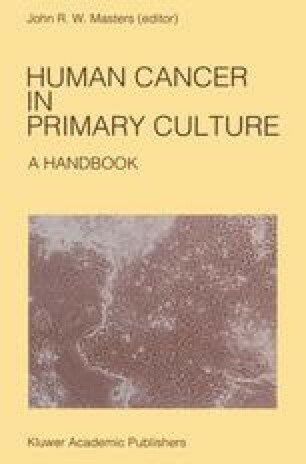 It is the purpose of this review to examine the current methodology for preparing short-term cultures from malignant glioma and the other major types of intracranial tumours and some of the characteristics of such cultures.